At the end of May, the KEY-VOCs project results dealing with VOCs and the chemistry of the atmopshere were presented at the WMO- GAW-VOC 6th expert meeting in Boulder (CO, USA). We have shown the outcome of the studies on adsorption of methanol on contact surfaces, on the suitability of purifiers to obtain VOC-free zero gas and on the development of trace level gas standards with long-term stability relevant for atmospheric monitoring. We are happy of the good feed-back! We have also been present at "SENSOR 2017" in Nuremberg, Germany on May 30 - June 1. Sessions: A4.2 "Detection of short trace gas pulses” and A4.3 "Highly sensitive benzene detection with MOS gas sensors”. 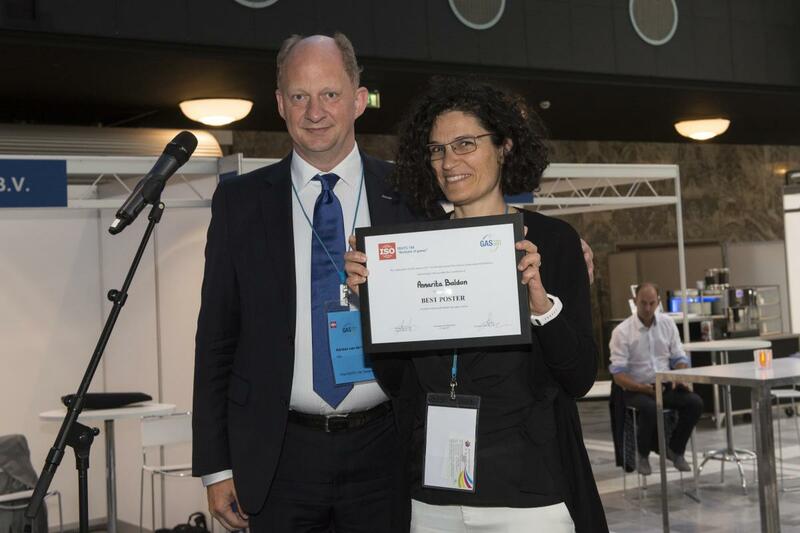 We are very proud to announce that we have been awarded of the Best Poster Award at "GAS Analysis 2017", Rotterdam, The Netherlands, June 13 - 15! The poster "Development of Oxygenated VOC gas standards to underpin atmospheric monitoring" is authored by A. Baldan, J. Li and S. Persijn. 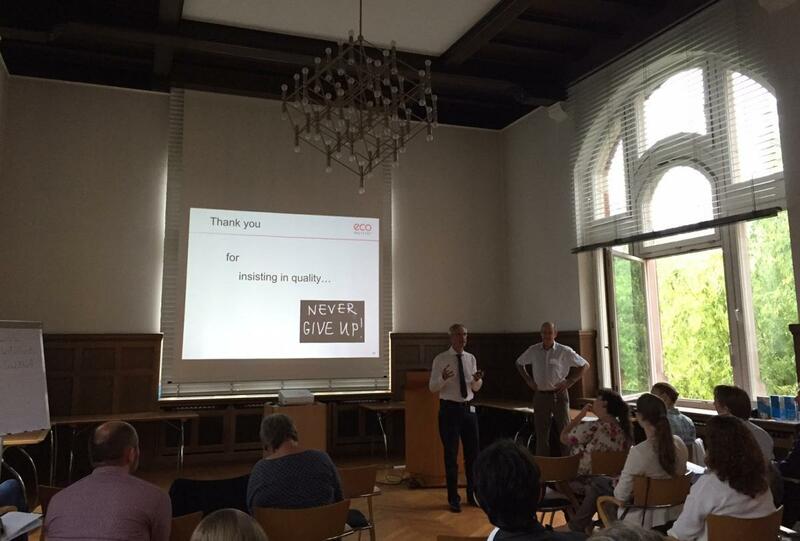 As announced on this website, the KEY-VOCs Workshop "Metrology for Indoor Air Quality" was held at BAM, Berlin, Germany on June 29. This successful workshop had a plenary part with several presentations including the results of the KEY-VOCs project, namely the development of transfer standards and of reproducibly emitting reference materials for polar and semi VOCs. In the second part of the workshop, participants attended one of the three sessions on analytical challenges, emitting reference materials and gas standards. The presentations will be soon available! The KEY-VOCs project is 30 months old! We are approaching the end. Lot has happened. On the 22-23 of March the KEY-VOCs partners met in Ispra (Italy) at JRC for a plenary meeting and for the Workshop on Gas Sensors for VOC measurements. The preliminary results of the gas sensors and portable devices tested at JRC were presented together with interesting talks from other invited experts in the field. The presentations are avaialable on the download area under impact (visible after registration). Below a group photo taken at the workshop. In this month, BAM and VSL have participated to the Conference INDOOR AIR 2016 with three posters! 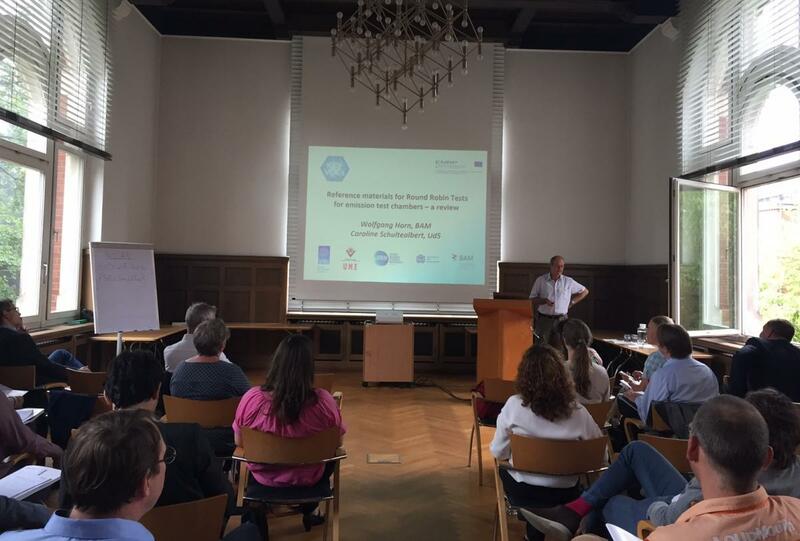 The 14th international conference of Indoor Air Quality and Climate was held in Ghent, Belgium on July 3-8, 2016. 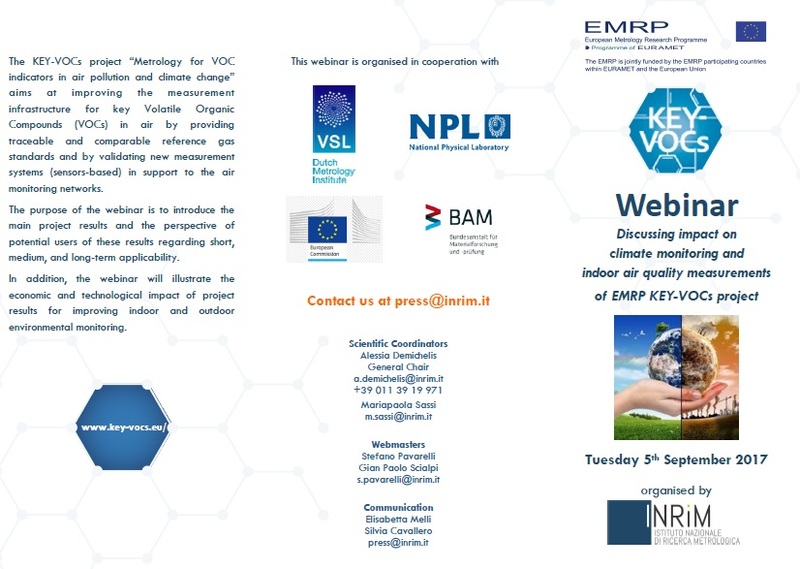 B. Mull, BAM, "Development of a reproducibly emitting reference material for Volatile Organic Compounds"
D. Heikens, VSL, "Dynamic generation facility for the calibration and verification of VOC and semi-VOC equipment in emission testing"
The presentations are now available. Register to download them! A new company, NanoSense, has become collaborators of the KEY-VOCs project! NanoSense will provide a gas sensor for VOCs testing in WP4. In the "downloads" part of the website (visible under impact after registering) you can find the presentation of Tilman Sauerwald (UdS) on the investigation of suitable Emission Materials for the production of VOC Reference Materials. Two new companies have become collaborators of the KEY-VOCs project! The results of the review study on "Sensitivity of VOC Sensors for Air Quality Monitoring within the EURAMET Key-VOC project" has been presented at the Fourth Scientific Meeting EuNetAir in June 2015 and it is now available online! This study was conducted by JRC of Ispra in collaboration with VSL and the REG-Researcher of Universitaet des Saarlandes. Three companies have become collaborators of the KEY-VOCs project!